Photo taken from Facebook profile of the youth organization Restart.lv. Published on the Internet on January 20, 2018. 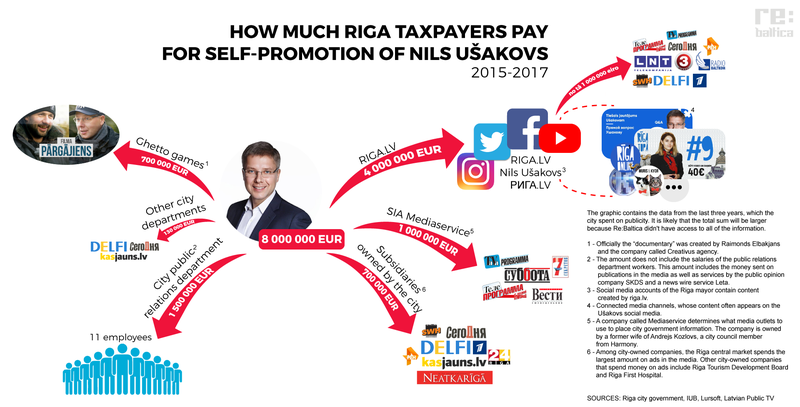 During the last three years, media-savvy mayor of Latvia’s capital Riga, contradicting his own statements, has spent more than 8 million euros of taxpayer money on promoting himself. This money has been spent buying up airtime, employing people in youth organizations connected to the ruling party, and promoting mayor on social networks. “Good evening. The summer is over and we start another season with an opportunity to ask direct questions directly to me,” Riga’s mayor Nils Ušakovs (41) tells Internet users in his YouTube show Direct question to Ušakovs. The room is decorated like a TV studio with the panorama of Riga in the background and the mayor is answering questions by audience. On surface, such direct communication with voters seems like participatory democracy at its best. In reality though, much of this campaign is smoke and mirrors. Out of 14 shows analyzed by Re:Baltica, one third of the users asking questions either don’t exist at all or are connected to Harmony, a political party led by Ušakovs. Last April, for example, someone named “Oļegs Bozhenovs” asked about the election promise to open city-owned pharmacies. Oļegs’ profile was created 10 days before the show. In it, he indicated that he works at a restaurant Laivas, but Re:Baltica learned that Oļegs never worked there. An internet search revealed that Oļegs from Riga is also Oļegs from Kiyv, Dmitry Chesnokov from a Russian city Donskoy and Sergey from a Russian town of Ust-Kinesk. A closer look at the large sample of users asking questions makes it difficult to believe that Ušakovs was not aware of the trolls. Out of 300 questions posed by the residents of Riga, 25 online profiles were fake, 39 were impossible to find, 18 were connected to Harmony and asked softball questions, Re:Baltica analysis shows. Nils Ušakovs won the Riga City mayor’s seat in 2009, and he has been consecutively re-elected two times since then. He entered politics four years earlier, in 2005, joining Harmony, the political party which draws its support largely from Latvia’s Russian speaking minority and used to maintain a cooperation agreement with Russia’s ruling party United Russia until 2017. Friendship with the Kremlin has kept Harmony out of Latvia’s state government, but with the strong support of Riga’s Russian-speaking voters, Ušakovs has comfortably won three municipal elections in a row. Having been shut off from the government hasn’t stopped Ušakovs in pursuing his own foreign policy though. In 2017, he visited the U.S. to meet with the Republican senators John McCain and Lindsey Graham, a visit that came as a surprise to the country’s diplomats. He has also sought a meeting with the NATO secretary general Jens Stoltenberg, local daily NRA reported in November 2017. A former journalist, Ušakovs knows how to appeal to different audiences, and he is tailoring his messages accordingly. Over the years, he has created a system of control over the flow of information facilitating a positive image of himself. At the same time, he has been constantly dodging interviews in local media and journalists’ questions about dissatisfying road construction or the financial troubles of the city-owned public transportation company Rīgas Satiksme. 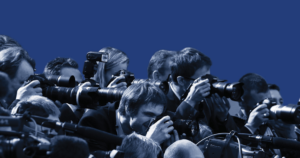 Ušakovs’ propaganda scheme consists of three elements: generous advertising contracts with the friendly commercial media to broadcast tidbits called “Riga News;” loyal NGOs ready to demonstrate public support for the mayor; and the use of social media to promote favorable public opinion and criticize opposition. The Re:Baltica estimates show that overall, the city taxpayers paid at least 8 million euros over three years to support this strategy. Where does the money go? The offices of the information portal riga.lv are located near the City Hall, behind heavy doors in an old historical building. It was founded to publish a municipal newspaper five years ago. The newspaper is long dead, but the newsroom staff has grown to 16 people (plus 18 contractors). When Re:Baltica visited the main office one workday, it was closed. A team from Latvian commercial TV channel TV3 could not find journalists there last November either. They called it “a phantom office”. The website states it produces news “that are important for the residents of the city.” ‘How to choose sauerkraut at the Riga central market?’ ‘A father took his daughter to a park so he could quietly drink beer.’ ‘Threw himself at others: an Estonian citizen was arrested in the city center.’ These are just some headlines found on the site one February day. Riga taxpayers are the ones paying for these “news”. The budget for this information portal has grown from 322.000 euros in the first year to 3 million euros in 2017, the election year for the city council. Its budget now is the size of Delfi, Latvia’s leading news portal. To enlarge the image, click on it. Sources: Riga city government, IUB, Lursoft, Latvian Public TV. The city’s short answer to Re:Baltica showed that a lion’s share of the website’s budget — 1.12 million euros — was spent on the site’s maintenance and advertisement on Latvian commercial TV channels as well as several radio stations, few newspapers and news portals. Additionally, in the last three years the city spent at least another 3.3 million euros on advertising in these media. Articles on the proper way to choose sauerkraut make up a small portion of the site’s content. 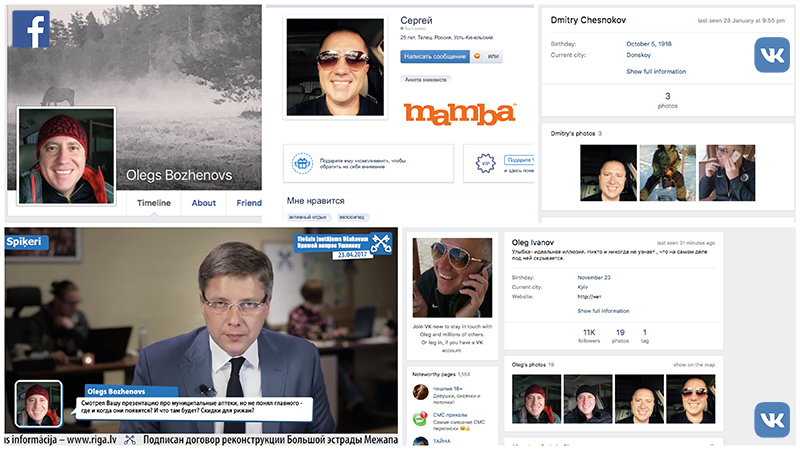 The largest part of riga.lv content are professionally made videos that can attract large numbers of social media followers, including to Ušakovs’ private social media accounts. With his 218,000 Facebook followers at the time of writing, Nils Ušakovs is not only the most followed politician in Latvia, but also sits in the same league as the Latvian NBA star Kristaps Porziņģis. The anti-corruption agency, KNAB, charged with oversight over party finances, doesn’t see the use of the city taxpayer money to promote the image of the city mayor and the head of the party Harmony as illegal. 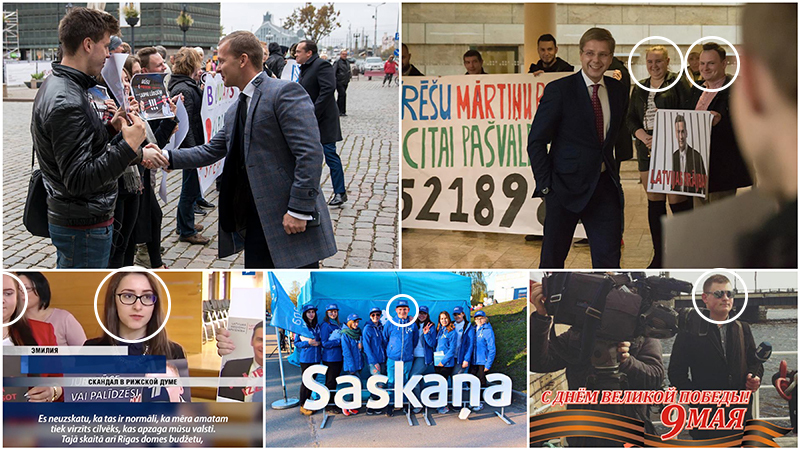 The opposition parties turned the agency’s attention to the coincidences between the mayor’s Facebook posts and riga.lv publications as well the use of the city’s money to promote private pages of the mayor. A year later, the agency responded that it didn’t see violations. The published articles didn’t indicate that Ušakovs was a candidate and there was no evidence that these posts had been paid for by the city, the agency said. Re:Baltica investigation shows that riga.lv has become a place to employ the aspiring new generation of the party Harmony. Salaries, staff and selection mechanisms at riga.lv are not publicly available, because formally it is not a municipal agency, even though the city is its sole financial backer. Ušakovs’ comrade from Harmony, Regīna Ločmele-Luņova and an adviser to the vice mayor serves on the board of this organization along with the representative of the Riga’s finance department. Who oversees the founder, in whose interests the organization operates? The city mayor Ušakovs. The site’s editor-in-chief Anita Pokrovska is the leader of Harmony‘s organization Young.lv, which was co-launched by the Riga mayor’s former wife Jeļena. This organization seeks to train aspiring journalists in public relations, public speaking, screenwriting. It is also actively involved in organizing the events commemorating the end of World War II on May 9th for Russian-speakers at the Victory Monument in Riga. An event many Latvians see as an affront to decades of Soviet occupation that followed the Second World War. Other riga.lv employees also come from Young.lv or are connected to Harmony. Majority of them, especially those in the management declined to give interviews to Re:Baltica. Some of riga.lv activists run side projects – they make videos poking fun at opposition which are shared by the mayor. For example, the designer of riga.lv and Young.lv activist Aņa Vasiļjeva hosted a comedy show on Facebook Как-то так (loosely translated as Something like this) in 2015. The show made fun of all political parties except Harmony, because Ušakovs and the vice mayor of Riga “have the balls,” the program announced. Ušakovs reposted about 70 episodes of the show on his Facebook feed, Re:Baltica counted. Before municipal elections, the same activist Vasiļjeva hosted another show Online Riga about “interesting events in Riga,” videos of which were published on Ušakovs YouTube channel and Facebook. Vasiļjeva didn’t respond to Re:Baltica interview requests. Harmony’s youth wing Restart.lv also helps to polish the Riga mayor’s image by participating in protests against opposition, as well as making other notable public appearances. In August 2017, four young people protested in the City Hall against an opposition leader whom they called “a thief.” The protests followed the news that Mārtiņš Bondars, the main opponent of the Riga’s mayor Nils Ušakovs, shared the blame for the bankruptcy of Krājbanka, a now-defunct Latvian bank that was owned by a Russian millionaire. Before politics, Bondars was the head of the bank. It was declared insolvent in 2011. “I don’t think it’s normal that a person who robbed our country, including the Riga city council, declared his candidacy to be the next mayor,” a young woman named Emilija told the First Baltic Channel (PBK), a Russian-language TV channel loosely affiliated with Russia’s state-owned Channel One. A social media savvy mayor posted the TV report to his YouTube account as well as his Facebook page. What Ušakovs and PBK did not mention was that Emilija and at least one of the other protesters were active members of Restart.lv. A couple of months later, “active residents of Riga” held another protest against opposition members. This protest was organized by a non-government organization (NGO) For a Sporty Society. Formally, the NGO seeks to promote a healthy, athletic lifestyle and sporting activities. In reality, its members try to keep order and act as demonstrators in other events of the political party Harmony. It serves as an umbrella organization for similar entities and was founded by a member of the parliament from Harmony Andris Morozovs. He is also a board member of Restart.lv. The Riga city council has awarded 18,794 euros to For A Sporty Society to hold sports events. The only national media that showed interest in these protests was the PBK. Ušakovs worked there as the editor-in-chief before entering politics. Many city-owned businesses buy a lot of advertisement airtime on the most watched TV channel among the country’s sizeable Russian-speaking population. 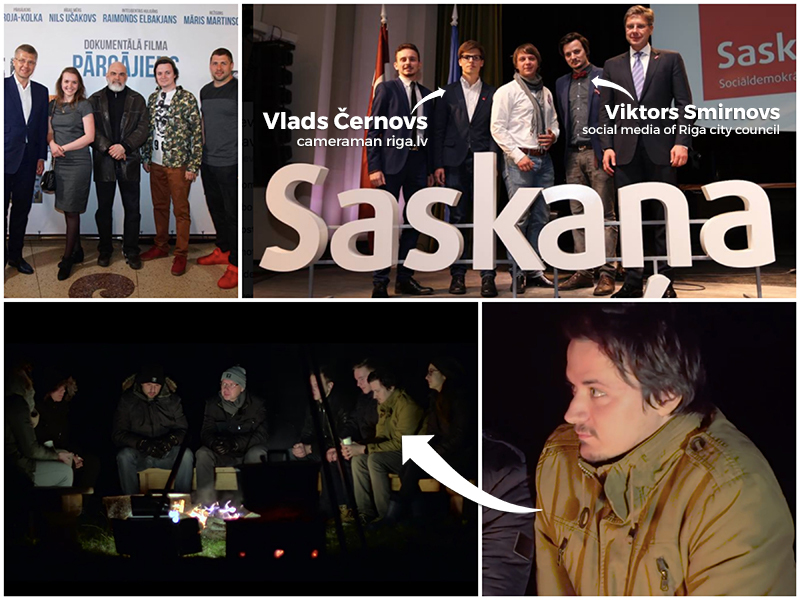 Meanwhile Restart.lv board member Viktors Smirnovs, who also happens to work at the Riga city council managing its social media, appeared at what the producers called a documentary “Pārgājiens” (A Hike), featuring the mayor “as he really is.” The film was posted on YouTube shortly before the elections. In the movie, Smirnovs along with other young people sits around a fire, drinks tea and listens to Ušakovs’ stories about his complicated monotonous life as a politician. 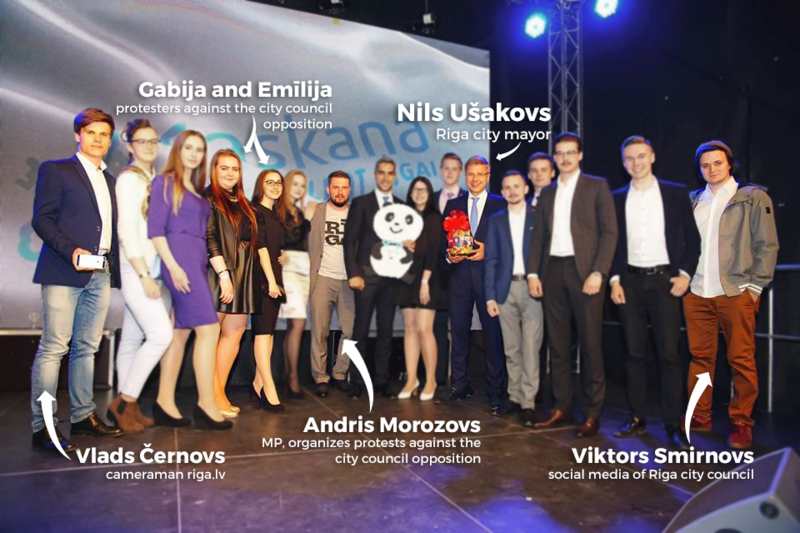 Viktors Smirnovs work in the city hall and posts information on riga.lv social media. In his spare time, he actively participates in the events organized by Harmony and is a board member of it’s youth organisation Restart.lv Source: Facebook, “a documentary” film “Pārgājiens”. By the way, the producer of this classic PR piece, what the most of audience would call it, is Raimonds Elbakjans. He leads an NGO, which promotes a healthy way of life and has received about 700,000 euros from the city council in the last three years. At the party offices in a swanky renovated former warehouse Re:Baltica met a man named Nikita – and two cats. Nikita didn’t know who works for Ušakovs’ social media. It was the same story at the party faction offices at the City Hall. The two press officers Re:Baltica met at the city council didn’t know who managed and paid for Riga mayor’s social media accounts. Ušakovs himself was on vacation. 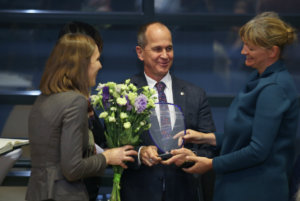 A week later, when Re:Baltica finally caught up with the mayor in the corridors of the city hall, his only answer was: “Ask the press secretary.” Which press secretary, he didn’t say.